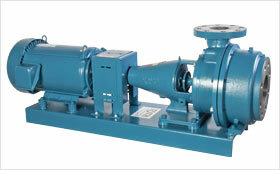 Roth multistage feedwater pumps deliver high pressures per stage at 1750 RPM. 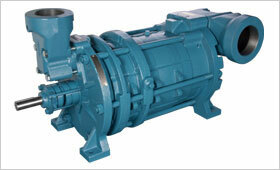 2, 3, 4, and 6 stages can be combined in a single regenerative turbine pump. Each stage approximately multiplies the differential pressure by the number of total impellers. The Roth multistage pump design incorporates the possibility of module staging so that operation is at the point of peak efficiency, thus reducing power input and driver size and increasing pump life.